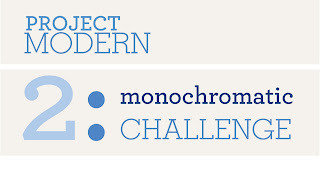 Have you all read about the second challenge of Project Modern by The Modern Quilt Guild? The challenge this time is to design and make a quilt that is monochromatic. Using only tones, shades, and tints of one single color, the challenge to to create a quilt that creates life, interest, and energy. Sounds fun to me! This judge of this challeneg is Malka Dubrawsky of stitchindye.blogspot.com and author of the new book Fresh Quilting: Fearless Color, Design, and Inspiration. 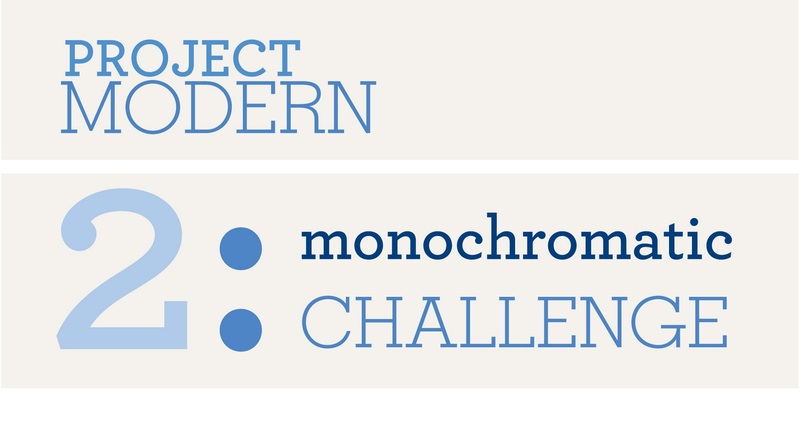 - To enter your submission for Challenge 2 please email the following to projectmoderncontest@gmail.com. - All entries for Challenge 2 must be received by March 31, 2011. - The winners of Challenge 2 will be announced on or about April 15, 2011. - US residents only are eligible for the prizes. - The three winners of Challenge 2 will be selected by our Guest Judge, Malka Dubrawsky. At the judge’s discretion, members of The MQG Planning Committee may aid in selecting finalists. However, no person involved in the judging process will know the identity of contest entrants. Each winner will receive an identical prize package. - Project Modern will be conducted on and through The MQG’s website. The details of each challenge, and the winners will be announced on the blog. - All Challenge 2 submissions will be posted in a public Flickr group after April 15th, 2011. You can also read the entire official rules of the challenge here. 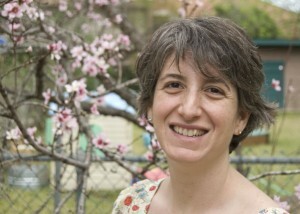 Each winner will receive a copy of Malka's new book, as well as a Kona Cotton Bounty of Basics kit from Robert Kaufman. Swoon! I hope all of you enter the challenge and I cannot wait to see what the group comes up with! In a truly grand and impressive fashion, I put off writing this blog entry until a new year had been rung in. But, better late than never, so enjoy the photos and tales from our November meeting! Here we all are enjoying a sensible glass of wine and homemade soft pretzel. Quilting, food and wine. Things could be worse. WELCOME to two new members, Meghan and Loretta! It's so nice to keep having new faces at our meetings! THANK YOU to Andie for organizing the December sew-in and the December dinner meeting! Both sounded like great successes! Also, thank you to Heather for giving us a re-cap of Fall Quilt Market! Everyone enjoyed hearing about her experiences and looking through all of the great pamphlets and fliers she collected! LEADERS: We decided to ask for volunteers to head up various areas of running and organizing the guild so that no one person felt either left out or overburdened. Thank you to everyone who volunteered to head up one of these areas! Reminder: Please run any ideas by the officers before committing the guild to anything. There aren't a lot of guidelines on this one, ladies—no strict size, color or pattern guidelines. Just look online and you'll find lots of tutorials. Have fun, and use your person's mug for creative inspiration! Here's one for you from The Curious Quilter: Mug Rug Tutorial. FUTURE SWAPS: Amy and I will be putting together a list of upcoming swap for 2011. If you have something you'd really like to see on that list, let me know by leaving a message on this blog entry or on the facebook page before the January meeting. SHOW AND TELL: As always, we had a great show and tell! Thank you to everyone who participated! I can't wait to see what you'll have to show us in January!